It’s summer time! 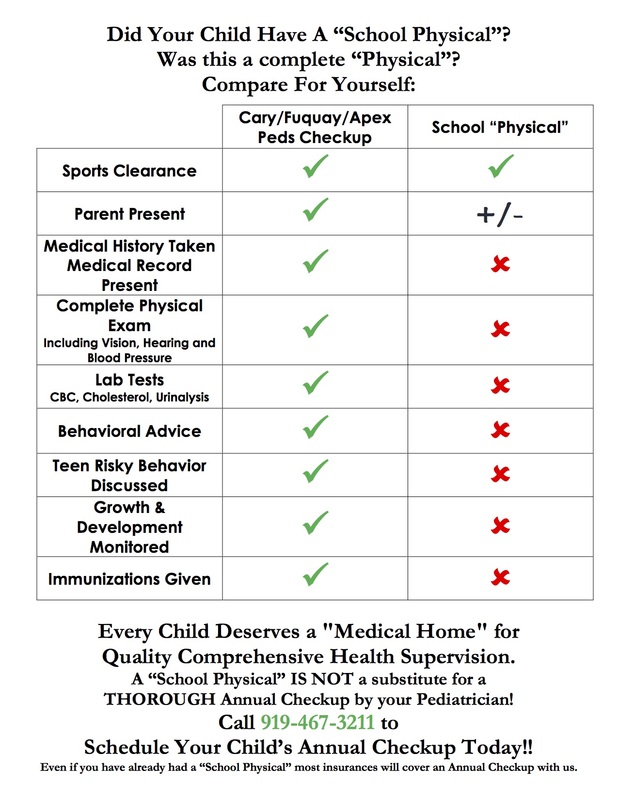 Now is the perfect time to schedule your child’s annual well child check and sports physical. Don’t wait until the end of the summer because our appointments will fill up quickly. Call today! Yes, you can receive a sports physical a sports physical at an urgent care, but remember that we offer a comprehensive history and physical. As your medical home, we gather information from specialist, give immuinzations, ensure growth and development are normal, provide anticipatory guidance that may not be given at an urgent care. Call today!